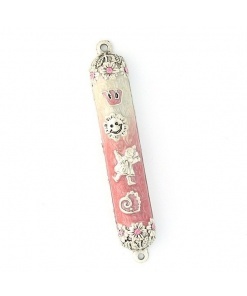 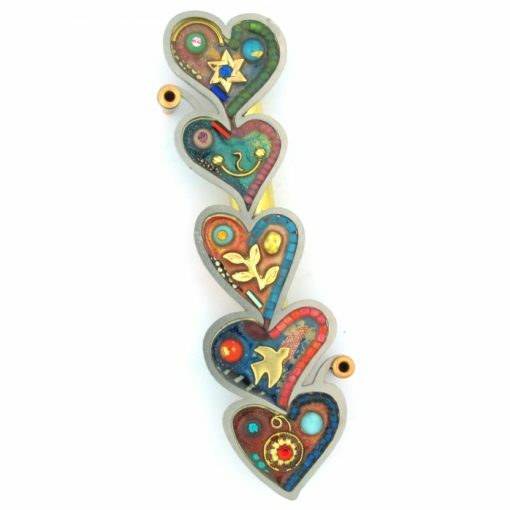 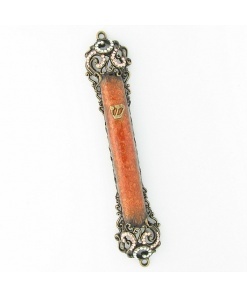 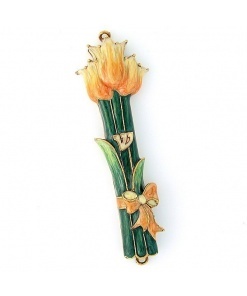 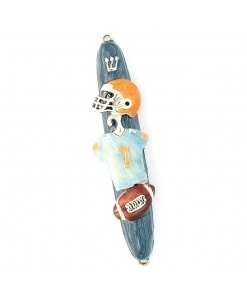 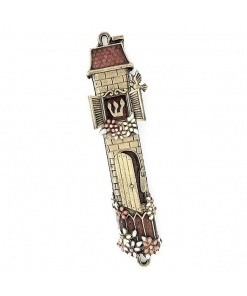 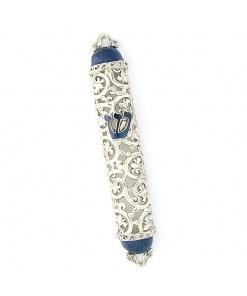 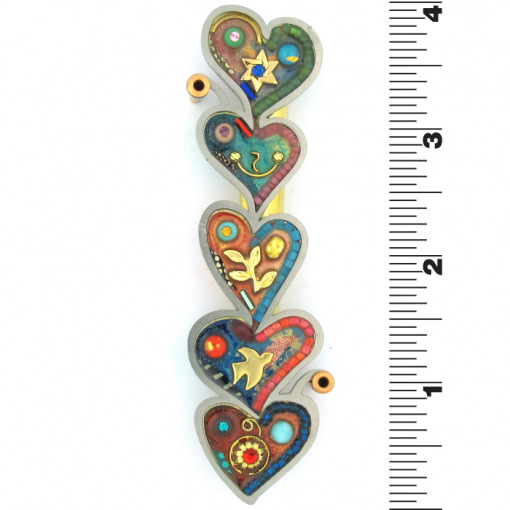 High-tech meets fine art with this Hearts of Peace Mezuzah Case by Seeka. 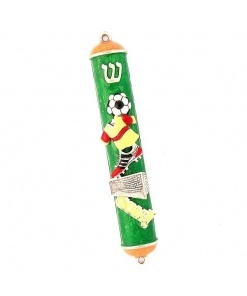 The Hebrew meaning of Seeka is Pin or Brooch. 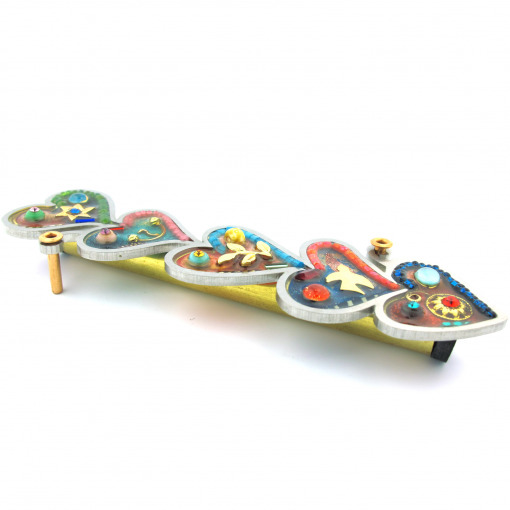 Nachshon Peleg and Stavit Allweis combine complementary skills from the fields of industrial design and fine art. Utilizing a proprietary technique, they mate stainless steel, resin and found objects in combination with hand-painded acrilics to create each of their Mezuzot.